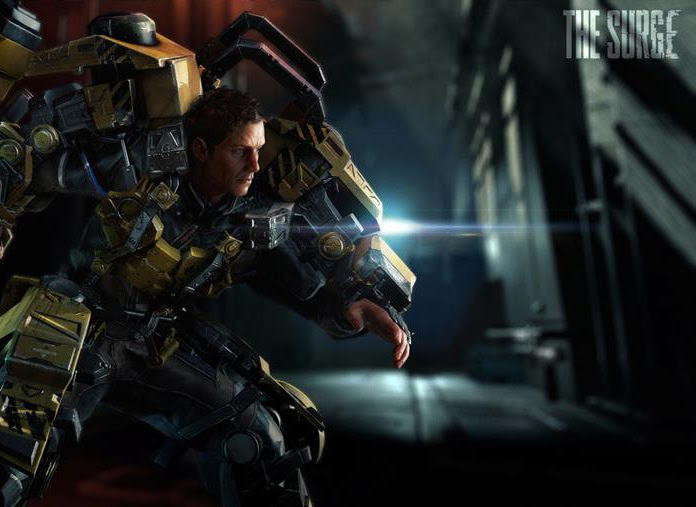 Focus Home Interactive and Deck13 (the developer behind Lords of the Fallen) are busy at work on a science fiction action RPG called The Surge. The E3 trailer for this game is brief, at less than a minute in length, but it's enough to catch our interest nonetheless. Of course, any action RPG set in a science fiction universe is going to get itself compared to Mass Effect, and that's a major challenge for The Surge to try and overcome. I'm not sure the developers are quite up to that, but if they can capture that same kind of vibe, then they'll be well placed. We don't get a whole lot from this trailer, due to its brevity, but what we do see is our hero hacking away at a whole bunch of different robotic enemies in what looks like a rundown and disused military facility. No real sense of narrative, but it does look like the combat has impact and is visceral enough. Other write-ups of the game so far seem to suggest it is, instead an attempt to to Dark Souls-like science fiction adventure. I must admit from that trailer I don't really get a sense of that, but given that I've been hoping for Miyazaki-san to take his Dark Souls ideology and apply it to a science fiction setting, perhaps - just perhaps - The Surge will keep be going as I wait for that a little longer.